When thinking of summer sunshine, you can’t but think of Florida. The place is jam-packed with some of the best beaches in the United States. You can find remote beach getaways as well as family-friendly beaches all within a couple of hours of each other. Florida has a beach for just about every kind of beach-goer. In the following, we’ll tackle ten of our favorites. These are some of the best we’ve found in the state. You’ll find that each region of the state has a distinct flavor. Amelia Island is North Florida at its classiest. You may feel that’s not saying much, but the island is one of the most refined examples of Southern beach charm. Alongside miles of beaches you can find a collection of some the most well-preserved Gilded Age villas in Florida. Condominium development has been hindered as property owners wish to keep the island as Old Florida as possible. The oaks hanging with Spanish moss outline most roadways giving it a classic feel. Marco Island has the great weather that South Florida is known for, without having the busyness of Miami. It is located in South West Florida, while also being in close proximity to the Everglades. The soft white sandy beaches of Marco Island are what led us to placing it on our list. In the span of a few hours you can spot alligators and then catch a serious tan alongside some crystal clear ocean waters. Marco Island is a great destination for the eco-tourist within. It’s also a good pick for families. Clearwater is one of the more popular beaches in Florida. It is both popular with families and couples seeking a beachside vacation. One of the best things about visiting Clearwater is being nearby Tampa, which boasts some fun night-time activities. You can visit some world-class museums and get a gorgeous tan all in one day. The Gulf of Mexico also provides some truly calm sea that seems to relax the soul. Anna Maria Island is our pick for favorite beachside sunset. This is a quintessential Florida island that gets largely overlooked by some of its more popular neighbors. It is also known for being forward-thinking. In 2016, Pine Avenue on Anna Maria Island was featured as the Greenest Street in the States. Some of the island’s roads are constructed from recycled materials. How’s that for giving Old Florida a new look? Check out the live scene here. This is not an island for those wishing to travel on a budget. Located in Southwest Florida, Sanibel Island is one of the higher priced beachside locales in the state. It is considered to be one of the best beaches to hunt for shells in the United States. The beaches are also quite empty. The throngs of tourists that are found on beaches like Siesta Key and South Beach are nowhere to be seen on Sanibel Island. There are even delicious restaurants to choose from. We consider Bahia Honda to be our favorite beach in the Keys. Despite Hurricane Irma’s best efforts to ruin this amazing stretch of sand, it is still worthy of a visit. Unfortunately, the storm destroyed much of the beach area. The recent restoration efforts have really brought some of its old charm back. The waters are some of the most gorgeous around. Don’t forget to stop by on your way down to Key West. Siesta Key is a popular pick that’s a favorite for many travelers that visit Florida. The sand is worth the visit alone. The waters are also calm and beautiful. This is a great beach to bring your family and do some serious shell-hunting. There are also a number of beachside playgrounds and picnic areas that are great for big groups. Siesta Key also doubles as a romantic destination for couples. There are plenty of fine dining establishments at which you can eat some of the best seafood that Florida has to offer. No list is complete without South Beach. It may seem too mainstream, but it is on every list for a reason. It is one of the hottest nightlife destinations in the world and full of just plain beautiful people. The art-deco architecture is also a sight to behold. Although these are still Atlantic waters, they are some of the cleanest around. Enjoy some sunbathing and then prepare for the pumping club scene that awaits you. You can only reach Dry Tortugas National Park by seaplane or boat, but it is well worth the journey. This is largely considered the U.S.’s most difficult national park to reach. It also is the home of famous Fort Jefferson. Fort Jefferson was a coastal fort first constructed in 1846. The waters around this beach have some of the best marine life that North America has to offer. Here you can see seahorses, moray eels, and even sea turtles! Jupiter Island is home to a 100,00-year-old limestone shelf. The shelf is the largest of its kind in the Atlantic Ocean. This is just the start. This protected beach is well-known for being a loggerhead turtle nesting ground. The crystal clear waters almost feel surreal. It is one of the best examples of natural habitat conservancy in Florida. Many conservationists agree that it is an excellent example of how a barrier island would look without any sort of human development. Florida down to Bahia Honda towards the Keys. We feel that each of these beaches offer something different. 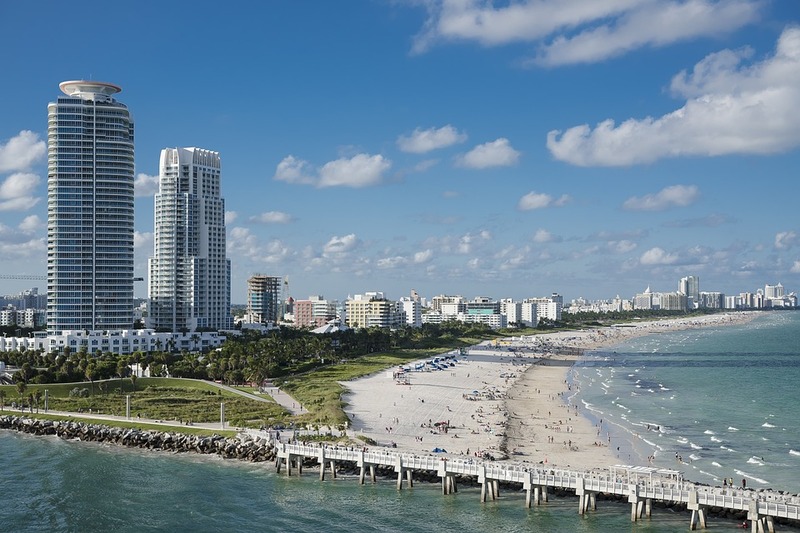 From the thumping nightlife of South Beach to the serenity of Fort Jefferson, Florida truly has something for everyone.